cuddle+kind is a dedicated supporter of WFP USA and our mission to end global hunger. 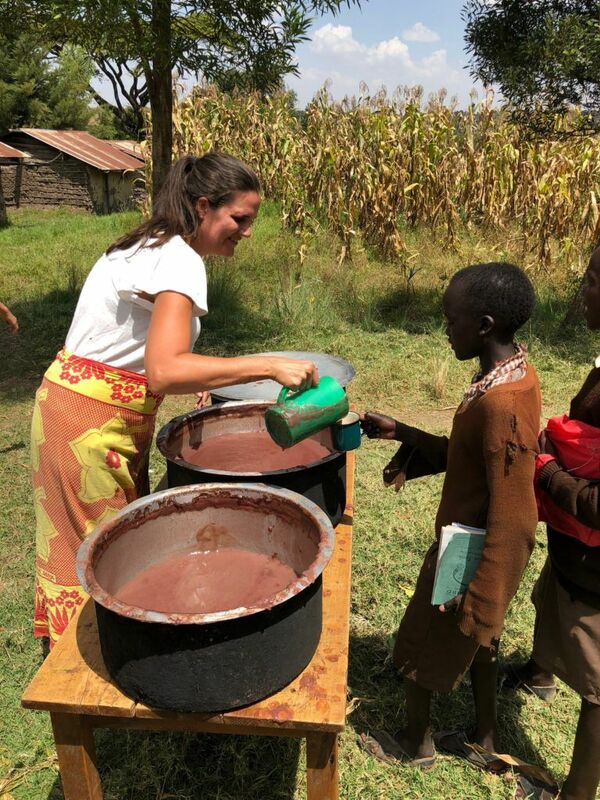 We sat down with its founders, Jen and Derek Woodgate, to learn more about why they are committed to giving back by feeding children in need. WFP USA: What inspired you to start cuddle+kind? c+k: When Jen was pregnant with our youngest daughter Rachel, we watched a documentary that opened our eyes about childhood hunger. We were shocked to learn that over 3.1 million children die of malnutrition every year – that’s one child every 10 seconds. This deeply saddened us because as parents, we believe all children should have enough food to eat and the opportunity to thrive. Our son Ethan turned out to be the spark that started our amazing journey with cuddle+kind. We talked about the documentary with him and explained that some children don’t have enough food to eat and that millions die every year. As only a five-year-old could do, he simply said “we should do something about it.” On that day, we decided to start a company whose purpose is to help improve the lives of children and to make a difference. WFP USA: What is the mission of cuddle+kind? c+k: Our family’s mission is to help feed children in need and make a tangible impact on childhood hunger. 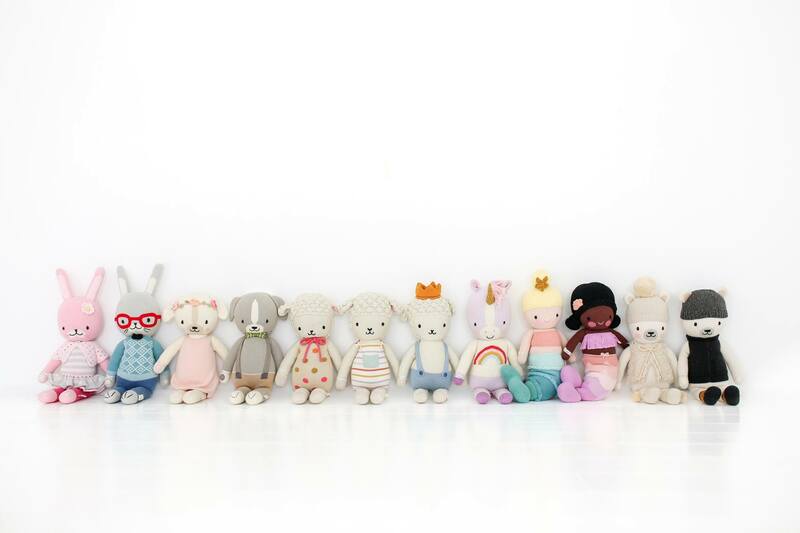 We’ve created a collection of beautiful, hand-knit cotton dolls that provide 10 meals to children in need with every purchase. 1 doll = 10 meals. Studies have shown that when children have adequate nutrition in the crucial early stages of life, their cognitive ability and health improves along with their chances of becoming a self-reliant adult who can contribute to society. We believe that by helping children thrive and reach their full potential today, we can have a positive impact on the world for generations to come. WFP USA: What makes you so passionate about ending child hunger? c+k: Every time we feed our own three children we can relate both to what the children who don’t have enough to eat are feeling as well as what the parents must be feeling. Both of us have a background in health and know what a crucial role nutrition plays in the growth and development of young children. For many reasons, being a part of the solution to childhood hunger resonates with us deeply. WFP USA: How does cuddle+kind give back? c+k: Our goal was to start a sustainable stream of giving that wouldn’t rely on donations. When we created our collection of artisan-made dolls that provide 10 meals to children in need, we partnered with WFP USA and other humanitarian agencies to distribute those meals around the world where they’re needed most. We want cuddle+kind to make a positive impact in every possible way, so we enjoy giving back in the way our dolls are made as well. Our collection is ethically produced, and each doll is handcrafted by women artisans in Peru who are empowered with a sustainable, fair-trade income that brings meaningful change to their lives. WFP USA: What inspired you to give back through WFP USA, specifically? c+k: We knew that WFP was one of the most highly-respected humanitarian agencies with on-the-ground expertise in providing the right nutrition where it’s needed most. As a United Nations agency and the leader in combating hunger around the world, we wanted very much to work with WFP. We also believe very strongly in school meals programs, which are proven to increase school attendance and performance, giving children, especially girls, an education they might not otherwise have. WFP’s school meals programs fit perfectly with our vision of giving. WFP USA: How many meals have you been able to provide through WFP USA? c+k: Through WFP USA, we’ve provided over 1.9 million school meals – and we expect that number to exceed 2 million by the end of this year. WFP USA: What’s your vision for the impact cuddle+kind can make ending child hunger? c+k: Our experience since we started cuddle+kind is that there are so many other like-minded parents and grandparents out there who are moved to help children who don’t have enough to eat. It’s why our 1 doll = 10 meals giving idea has been so successful. Since our launch in September 2015, we’ve provided over 5,073,949 meals together with our customer philanthropists. 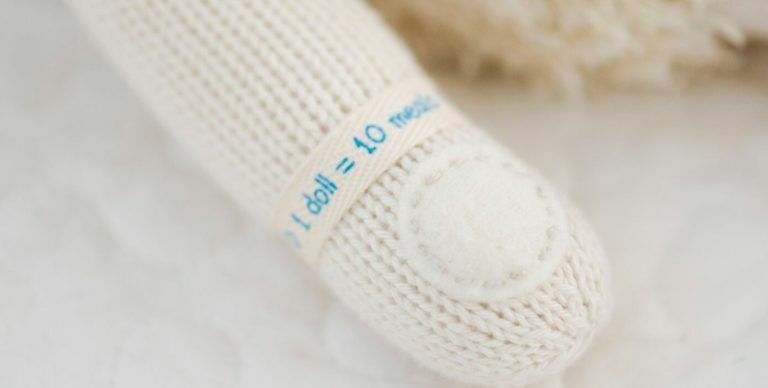 By increasing awareness for the issue of childhood hunger through our collection of adorable, hand-knit dolls that children love, our dream is to start a worldwide movement to end childhood hunger. We love that children can feel connected to helping others through their own favorite doll, be a part of making a difference in other children’s lives and hopefully grow up to lead their own generation in the fight against childhood hunger. *Jen and Derek Woodgate are the founders of cuddle+kind.